How to Get Added to the Light Guestlist at Light Nightclub? 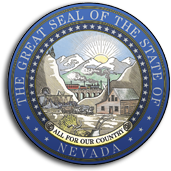 To access the Light guestlist at Light Nightclub in Las Vegas NV at the Mandalay Bay Hotel and Casino with our company, please take note of the details we have provided so your group is sure to follow the policies that are enforced by the club. The line starts getting packed earlier than most of the venues because of the scale of the production so it can it can be embarrassing to your group if you end up having to wait in line all night, or even worse, not be able to enter the club because you didn’t arrived too late. 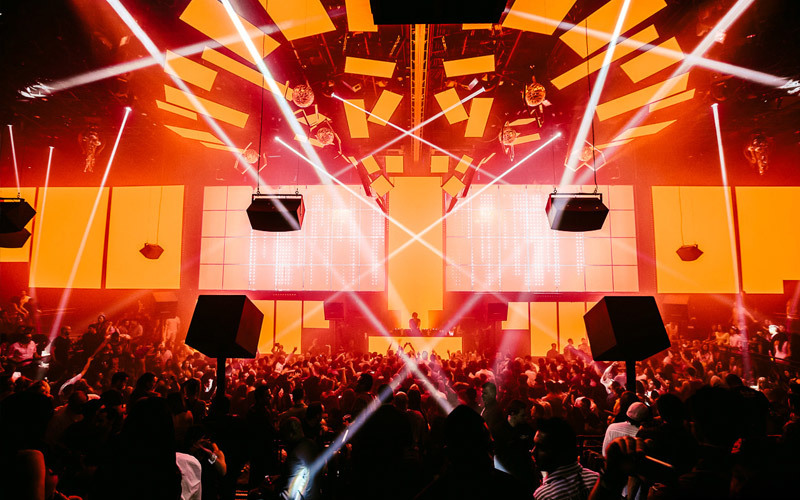 If you are trying to find out how to get added to the Light guestlist at Light Nightclub, you have come to the right hosting agency for your needs at this 38,000s square foot venue. When your group arrives you should look for the guestlist line, or you can ask the security. 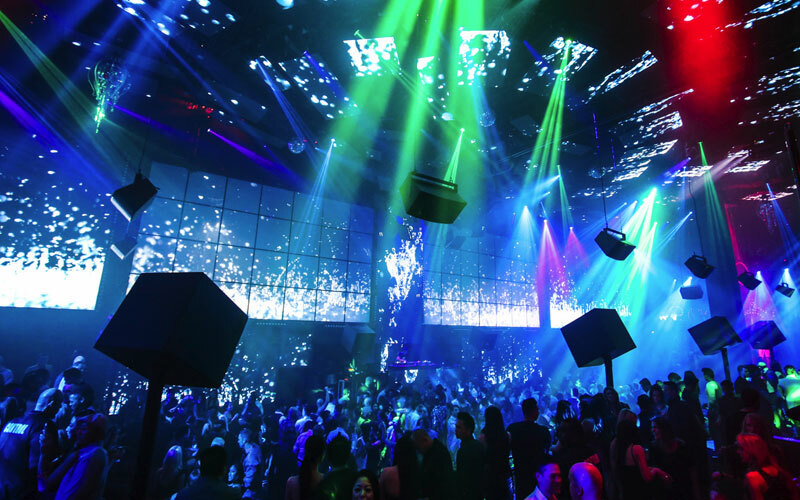 The venue takes the dress code into serious consideration so make sure you are dressed to impress, its Vegas. Is there a Light guestlist at Light Nightclub? Yes there is a guestlist on Wednesday, Friday, and Saturday. Girls and guys can send us their First and Last Names along with the number of people in their groups no sooner than 48 hours from your arrival date and no later than 7:00PM of the day of your arrival. How many names can I add to the Light guestlist at Light Nightclub? Girls and guys can add an unlimited number of names to the guestlist in order to receive free admission or discounted cover which usually depends on the day or the week and the event type. Can guys be added to the Light guestlist at Light Nightclub? Yes they must have at least an equal guy to girl ratio In order to receive free admission or discounted cover. If guys do not have enough girls in their group they might be subject to pay the entire cover. What time does the Light guestlist at Light Nightclub close? 8:00PM is the day of the event is when the guest list closes. You should send us your First and Last Name by 7:00PM on the day of your arrival so it gives us enough time to get a confirmation back from the venue to confirm with you that your names have been added. What time does the line for the Light guestlist at Light Nightclub close? The line for guestlist closes between 12:00AM -1:00AM. The line generally starts at 10:00PM for 10:30 which you should take into serious consideration for planning smart especially during holidays and big weekends where the line get busy by 9:30PM. Does the Light guestlist at Light Nightclub entitle free entry or reduced admission? You can take advantage of free entry or reduced admission if you have an equal ratio of guys to girls in your group. Guys can be added to the list but or subject to pay full cover if there is not an equal guy to girl ratio. How long is the line for the Light guestlist at Light Nightclub? The line wait time is typically 30 minutes to 1 hour. During big weekends and holidays, you can expect to wait 1 to 2 hours in line before you get inside. How do I add names to the Light guestlist at Light Nightclub? Please submit your groups First and Last Names by 7:00PM of the day of your arrival through our website in order to give us enough time to get you a confirmation letting you know your names have been added. Does the Light guestlist at Light Nightclub guarantee entry? Yes if there for designated time which is up to the club to announce, so go early to ensure that you give your group enough time to get through the waiting time. Can a group of guys be added to the Light guestlist at Light Nightclub? Yes they can be added to the guestlist so they should arrive early. They will subject to pay full cover if there are no girls in their group. We suggest that if you are with a large group of guys that you contact with one of our hosts so we can help expedite the waiting time. Book Light Nightclub bottle service. 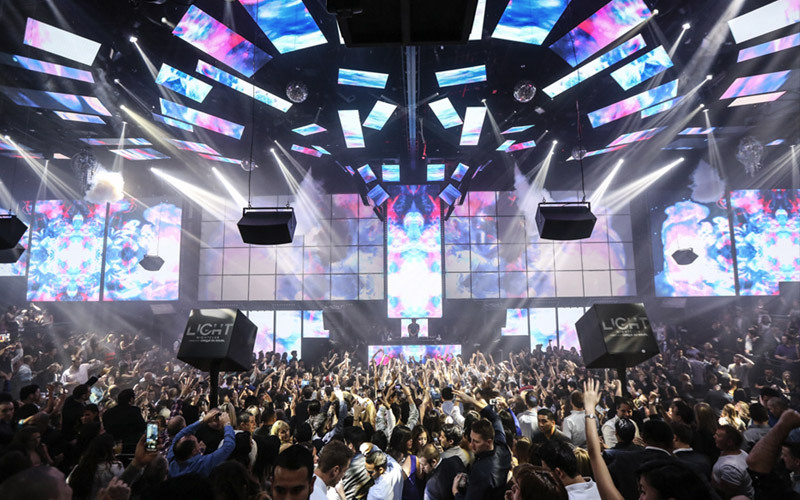 Learn more about Light Nightclub Las Vegas. 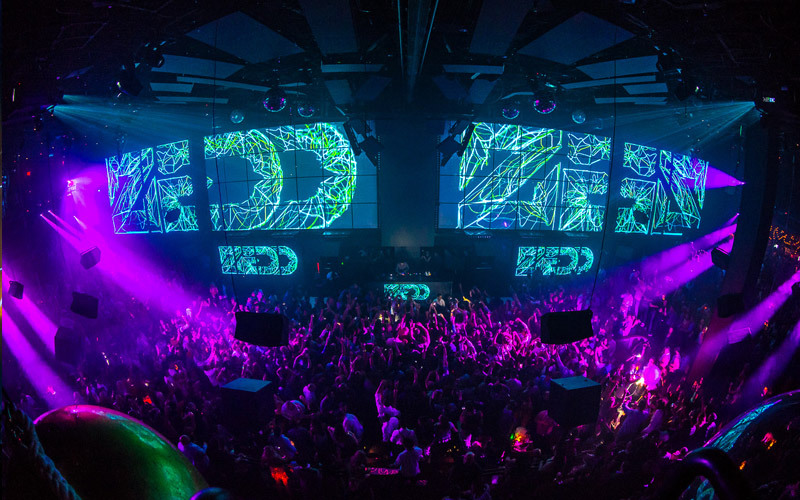 Electronic music hot spot inside Mandalay Bay featuring giant video walls & Cirque du Soleil acrobatics.